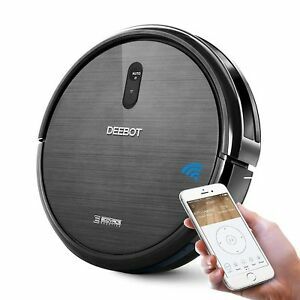 ★★★★★ This vacuum works well, bought it for my mother and is exactly like the Eufy 11 (not 11+) that I owned myself, with the additions of Wi-Fi. You don't need the app to work it, the regular remote would work fine, but an app on a phone mothers are already familiar with makes it easy to schedule and operate. Unlike the Roombas of the late 2000's, the parts are simple, easy to clean, and the robot almost always finds its way home, all while lifting unseen amounts of dirt off what I thought were clean hard floors. My mother has no complaint, and all praises for it, that alone is more than worth the cost. The longest setup part may have been having to read the instructions to set up WiFi, and you do have to sign up for an account to use the WiFi app to connect the vacuum to your WiFi, but the performance makes these minor offenses easily overlooked. ★★★★★ The unit is just plain wonderful!! You should see it going from room to room sweeping up dog hair, dust bunnies from under the beds, cleaning under the dining room table where we can't reach, and guess what? I haven't touched the big, heavy, regular vacuum cleaner once! You can start the unit up by pushing the button on top, or using your cell phone with the app. There's plenty of battery time too. The price was right. We're happy campers! ★★★★★ Eaesy to operate , plug and play product. clean very good.